The C4Leader Blog: A Leader's Most Common Mistake? I see it over and over again. A person moves into a Leadership role because he / she was a superstar when working alone, knows the technicals, gets work done and might even show strong communication skills. But once they are in the role, they flounder. Even experienced Leaders can suffer from this as they are given more responsibility and bigger roles. What’s the problem? Honestly, identifying the answer is easy; fixing it not so much. Most Leaders have proven themselves to be self-reliant, self-starters to begin with. Before becoming a Leader, they’ve learned how to get things done and are completely comfortable taking care of work themselves. They know how to plan and execute their work. They are already Superman or Wonder Woman in their own minds. Therein lies the rub. They are so self-sufficient that they don’t know how to dump unimportant items or delegate to others (some articles on Leadership talk about how to say "no"). A project starts, and the Leader takes on too much of the project work rather than the leadership work. Instead of minding the team, scope, budget, and schedule, the person is more comfortable doing the team's work. This is especially true of Leaders promoted from a technical track. In one example, I was called into a project that had been underway for more than a year. The Leader was a very strong technical person, but he wasn’t comfortable delegating or managing expectations. Instead he would spend his time fixing the technical problems which he was more comfortable with. As examples, he would review a detailed technical drawing, but instead of providing comments back to the original author, he would spend hours fixing the document. Technical specifications with specific regulations would be minutely reviewed and updated, rather than asking his team to perform the update and cross check the regulations. In the end he was acting as a Project Engineering Lead (or even an Engineer) more than a Leader. The end result of his inability to delegate the work was the he wasn’t managing the project. The project budget was blown, the schedule overrun by months, and the scope was in a constant state of flux anytime the client decided they wanted to gold plate a deliverable. In addition, there were team dynamic issues at nearly every level, and the client was about ready to move the project to a competitor. Not a pretty picture. The fairy tale ending is that although I replaced him, he was kept onboard as my deputy and I was able to work with him. We identified plans for his growth and how to address the weaknesses which caused the situation. He grew and is leading projects today. So, the trap is that Leaders take on too much, and often of the wrong type of work. They try to be Superman or Wonder Woman, doing everything except what they should be focusing on and the project suffers. 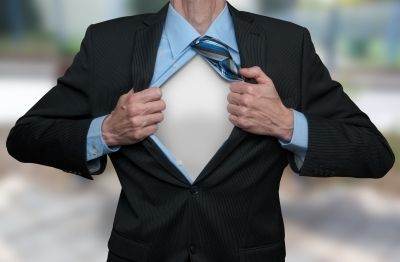 For a Leader, being Superman becomes the projects Kryptonite. Place that Kryptonite in a lead box, learn to dump the trivial, delegate to the team, and do the work of the Leader. Check out next week's blog where we will discuss the Eisenhower Decision Matrix, how it helps you make decisions, and determine where to spend your time.